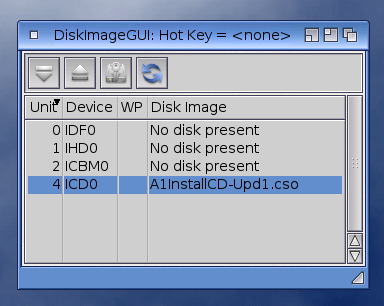 Diskimage.device is a virtual storage device driver that allows to mount various diskimage file formats and use them just as if they were real disks, similar to DaemonTools program on Windows or Thore Böckelmann's diskimage.device for AOS3.x. Improvements over Thore's device include: no hardcoded limit on the amount of useable device units, large file support, CD audio tracks and support for many more diskimage formats through an extensible plugin interface. It is also possible to create/mount password encrypted diskimages using the "Crypt" plugin.